Daryl Quitalig - For Shaw Media Cary-Grove receiver Michael Boyd (5) runs the ball after a reception in the third quarter of the football game at Cary-Grove High School Friday, Oct. 6, 2017. 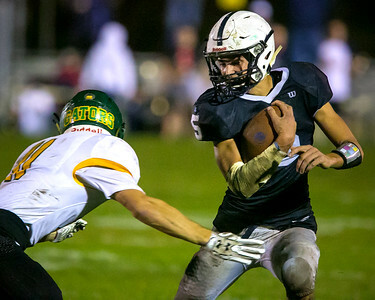 Cary-Grove won, 41-14. 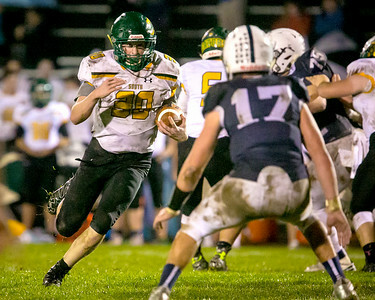 Daryl Quitalig - For Shaw Media Crystal Lake South running back Zachary Borgert (30) runs the ball in the second quarter of the football game at Cary-Grove High School Friday, Oct. 6, 2017. Cary-Grove won, 41-14. 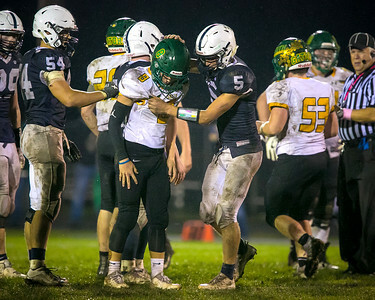 Daryl Quitalig - For Shaw Media Cary-Grove's Michael Boyd (5) assists Crystal Lake South's Michael Helm (8) to his feet after a big hit on a pass attempt in the third quarter of the football game at Cary-Grove High School Friday, Oct. 6, 2017. Cary-Grove won, 41-14. 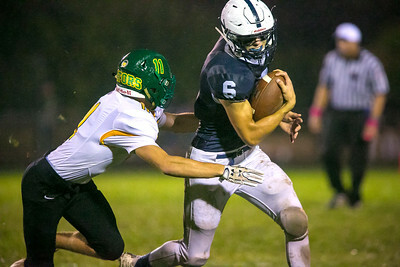 Daryl Quitalig - For Shaw Media Cary-Grove receiver Ben Ferrell (6) runs the ball after a reception in the second quarter of the football game at Cary-Grove High School Friday, Oct. 6, 2017. Cary-Grove won, 41-14. 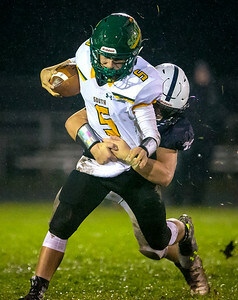 Daryl Quitalig - For Shaw Media Cary-Grove line backer James Johnson (32) tackles Crystal Lake South quarterback Ian Gorken (5) in the second quarter of the football game at Cary-Grove High School Friday, Oct. 6, 2017. Cary-Grove won, 41-14. 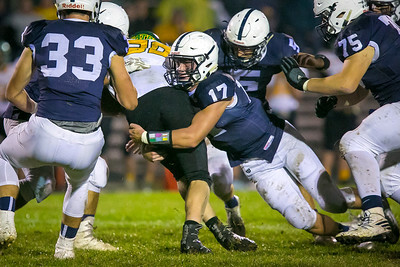 Daryl Quitalig - For Shaw Media Cary-Grove linebacker Ben McDonald (17) tackles Crystal Lake South running back Zachary Borgert (30) in the first quarter of the football game at Cary-Grove High School Friday, Oct. 6, 2017. Cary-Grove won, 41-14. 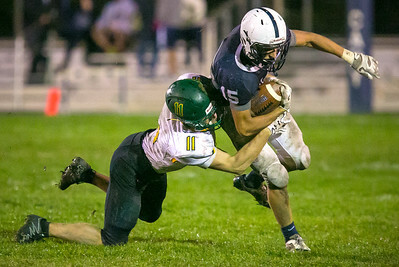 Daryl Quitalig - For Shaw Media Cary-Grove's Zach Perrone (15) tries to evade Crystal Lake South's Sam Greenspan's tackle in the third quarter of the football game at Cary-Grove High School Friday, Oct. 6, 2017. Cary-Grove won, 41-14. 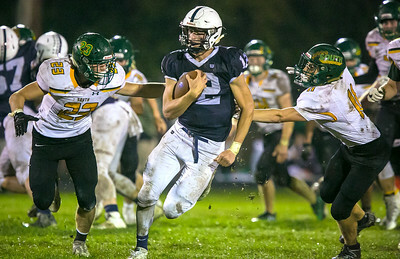 Daryl Quitalig - For Shaw Media Cary-Grove quarterback Quinn Priester (12) runs the ball in the second quarter of the football game at Cary-Grove High School Friday, Oct. 6, 2017. Cary-Grove won, 41-14. 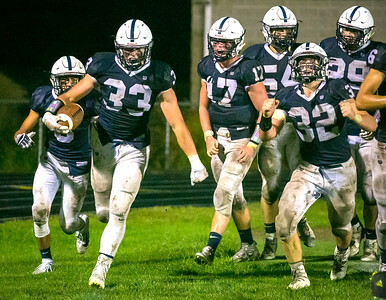 Daryl Quitalig - For Shaw Media Cary-Grove's Jack Trauger (33) and teammates celebrate his interception for a touchdown on a pass by Crystal Lake South's Ian Gorken (5) in the third quarter of the football game at Cary-Grove High School Friday, Oct. 6, 2017. Cary-Grove won, 41-14. 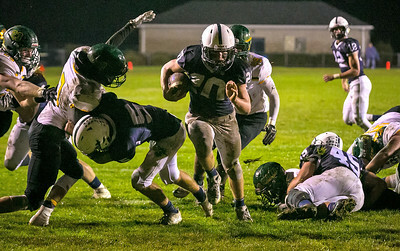 Daryl Quitalig - For Shaw Media Cary-Grove running back Blake Skol (20) runs in a touchdown in the first quarter of the football game at Cary-Grove High School Friday, Oct. 6, 2017. Cary-Grove won, 41-14.